Two teams with similar fortunes in the league games now crossed swords in the 2nd Finals of the tournament. Terrific XI managed to put their best players on the park, and ING were missing its best batsman (also named Batsman of the Tournament) Somu from their playing XI. A foggy morning meant that the teams had to wait a good half hour for the sun to come out to knife through the fog for the light to be permissible for play to begin. Nishith won the toss and inserted ING in to bat. It would be a contrasting start for the Terrific XI opening bowlers Nishith and Shakthi. Nishith had trouble controlling his lines against the left-right opening pairing of Raha and Taha and conceded extras through wides. Shakthi on the other hand tucked the batsmen of any room and keeping things tight. The tussle between bat and ball remained honest as batsmen didn’t have much difficulty milking the bowling for run a ball, but the bowling was tight enough for batsmen finding it difficult to really get after the bowling. Every time the batting team looked to up the ante, they skied the ball and wickets tumbled. Raha was the first to go in the fifth over trying to get after Nishith. 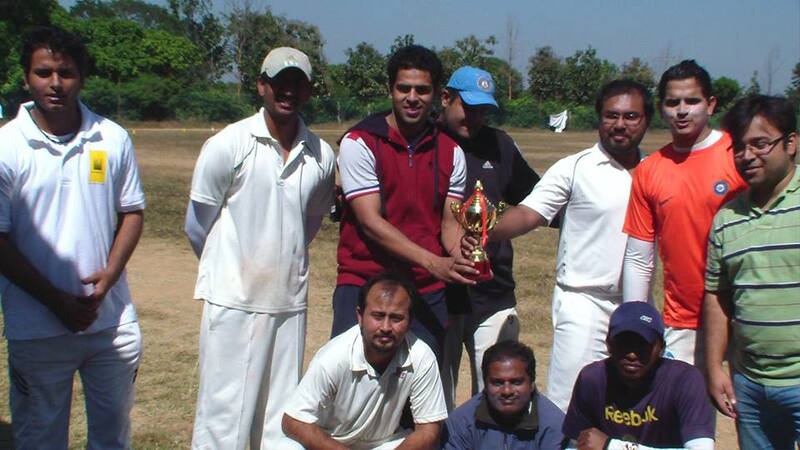 Vinod followed up the spell of Shakthi with good measure keeping the scoring to a minimum in his first spell. His around-the-wicket angle seemed to be difficult for the batsmen to score against. Shivaraj reaped the rewards at the other end as he knocked over the well set Taha in the 9th over to keep the scoring in check at roughly run a ball. Abhish bowled his leg spinners well with the odd full toss to further keep the batsmen in check. ING further lost their way trying to get after the spinners as Ameya and Raghavendra lost their wickets. It took a settled partnership between Madhu and Paddy to get the innings back on track for ING. Things would have take an uglier turn for ING had Madhu’s catch been taken at point pretty early in the innings. What was a struggle to go at run a ball for the best part of 17 overs turned around drastically in the 18th over with two back-to-back no balls. Madhu helped himself to a four and a six off those to launch a spectacular assault in the final 3 overs. Paddy ran hard to put Madhu on strike as often as he could and Madhu pushed the score at a rapid pace eventually pushing it past 150 while making a vital 50. The final few overs ensured that Terrific XI will have to go over 7.5 and over to win the contest. Terrific XI started off well with Pankaj and Shivaraj feasting on full deliveries by Paddy for boundaries. Raha followed it up with inconsistent lengths as well as Terrific XI got off to a brisk start. However, Paddy struck twice in his next two overs to send the openers back. Tarun though played his strokes to stay abreast with the runrate. He started with a lofted boundary over mid on to signal his intentions. His driving on the off-side was good as well to compound the problems for the ING bowlers. Suresh gave Tarun good company as the pair went after the ING bowlers in an entertaining partnership punishing loose deliveries on offer – high full tosses, half-volleys on leg stump. Tarun and Suresh put on 43 runs in a little over 5 overs to push the score to 75 just around the 10th over, when a loose drive outside off stump by Tarun was snapped up by the keeper. The tables turned a bit after that even though Suresh pushed the score above hundred at the turn of the 15th over. A stunning running catch on the boundary by Sheshagiri when the ball looked set to sail over the boundary turned the game on its head as it got rid of the set batsman Suresh. ING tightened the grip on the game with straight bowling and well set fields to cut any boundaries to bring up a 20 run victory in the end. For his match changing 50, Madhusudhan was declared the Player of the Match. Brief scores: ING 151/4 in 20 overs (Madhu 51 n.o. (29 b, 4X4, 2X6), Paddy 25 n.o. 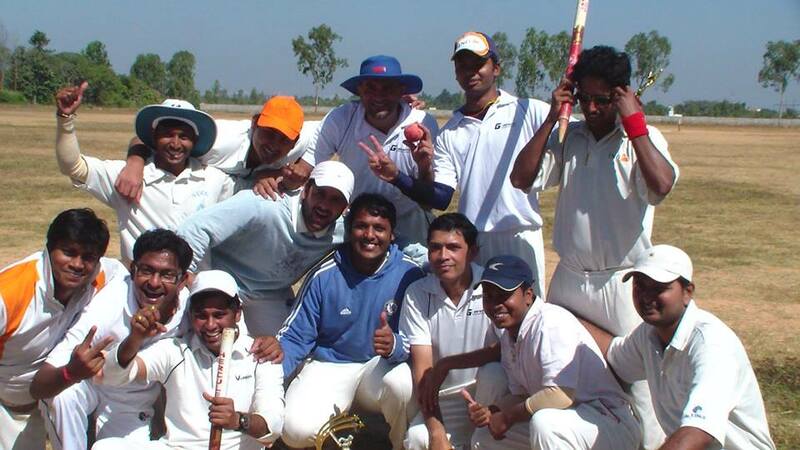 (33 b, 1X4), Shivaraj 2/26) beat Terrific XI 131/9 in 20 overs (Suresh 29 (31 b, 5X4), Ameya 3/23) by 20 wickets. Full scorecard with wagonwheel, pitch-map is available here.